For a multi-tasking jacket to take you through the seasons, reach for the Soapy Peach Quilted Cotton Jacket. 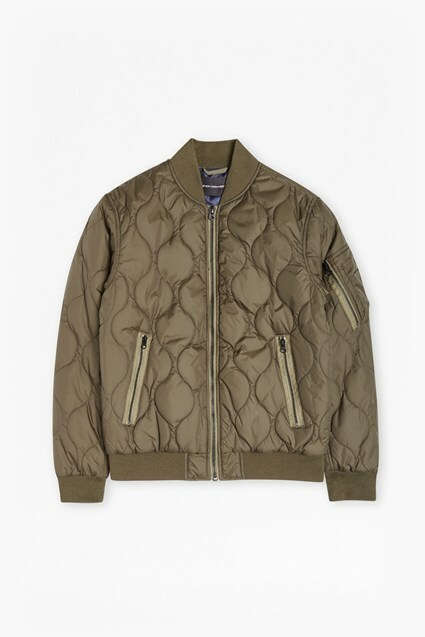 The khaki green jacket has a relaxed appearance with long sleeves and a zip front. A detachable quilted gilet sits within the jacket, offering the option for more warmth, or to be worn on its own. The casual field jacket is perfect for pairing with jeans and a t-shirt on off-duty days.